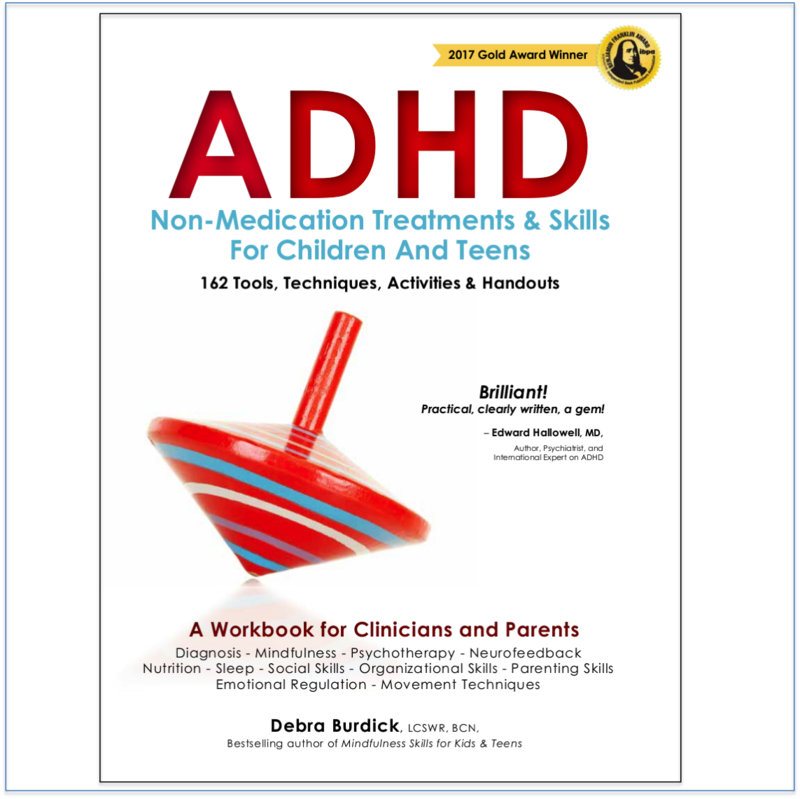 Book Synopsis: Seasoned clinician and mother of a daughter with ADHD, Debra Burdick draws on nearly 27 years of clinical and personal experience to offer a holistic approach for improving concentration for children ages 3-14. 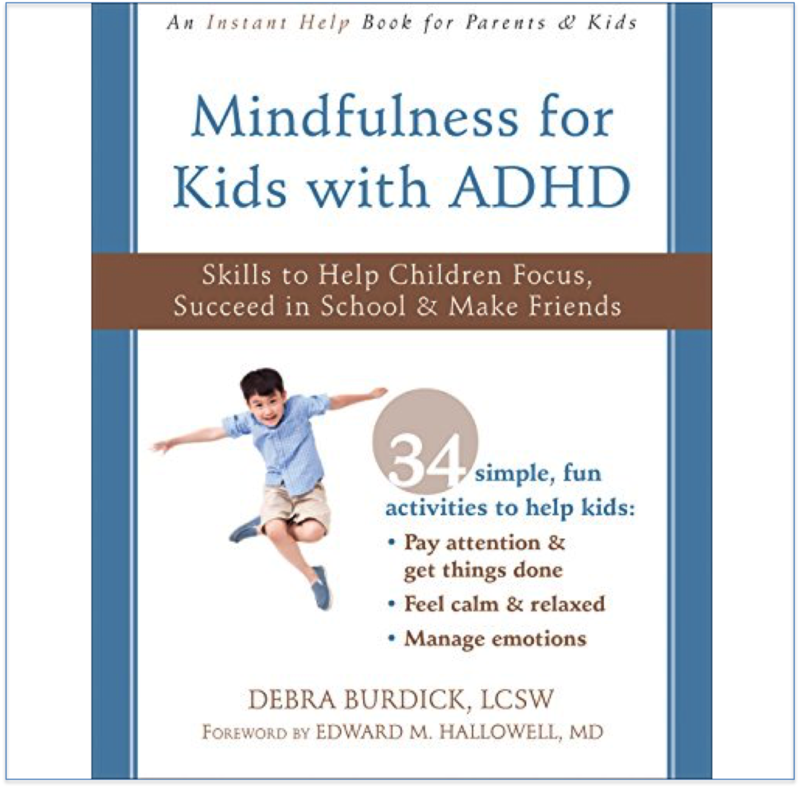 This CD provides an easy to use approach to mindfulness that gently guides kids through a fun process to become more mindful and improve concentration along the way. 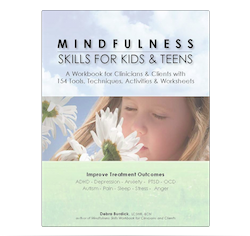 It contains nine short vignettes that guide kids to use their imagination to practice concentrating and be more present. The vignettes include some fun settings like flying a space ship as well as practical ones like being in the classroom, doing homework, or having a friend over. 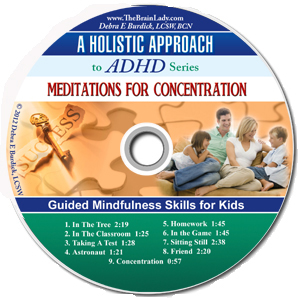 The kids love listening to them and their parents notice that what they practice while they listen translates into better control of concentration both socially, in school and while doing homework.